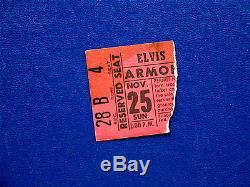 This is a ticket stub from the Elvis concert I attended November 25, 1956 in Louisville, Kentucky. I include a COPY of a photo I took that day. I wish the photo was a better quality, but I did not own a great camera with a zoom lens! I will also include my handwritten letter of authenticity stating that I attended this concert as a 13 -year-old girl. Good luck and thank you very much! 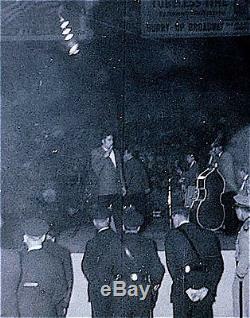 The item "Elvis Presley Concert Ticket Stub, Louisville, 1956 with photo" is in sale since Sunday, January 24, 2016. This item is in the category "Entertainment Memorabilia\Music Memorabilia\Rock & Pop\Artists P\Presley, Elvis\Concert & Movie Memorabilia". The seller is "greatshepherd" and is located in Hopkinsville, Kentucky.